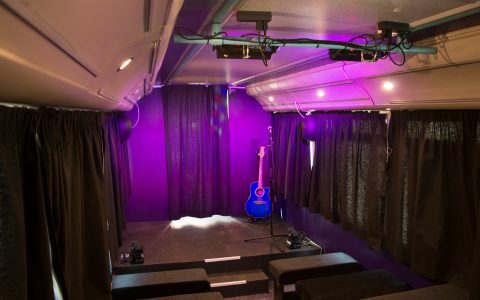 We are sorry to see the Theatre Bus go but we’re delighted that our work will be continued by the fabulous PitchBlack Mobilestage. 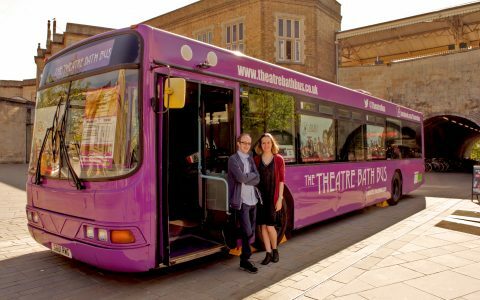 We are sad to announce that after two highly successful years, and many brilliant adventures it’s time for the Theatre Bus’s journey to come to an end. We would like to take this opportunity to thank everyone who believed in us and made the idea a reality and helped us along our way. To everyone who donated – it was you that made this idea come to life – we simply could not have done it without your support and belief. To the team at Bristol Bus and Coach Company (Simon and all the guys at the yard) and to Chris and Leo at Spirolux Ltd for their help with the design and conversion of the bus. The bus has won two awards. 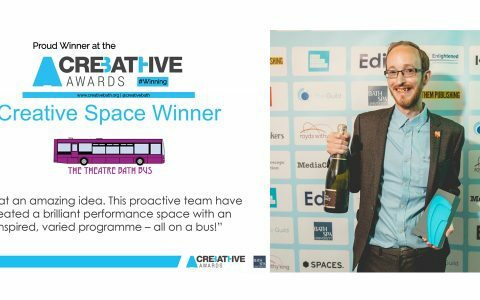 The Creative Bath Creative Space Award and also Best Venue at the Edinburgh Fringe Festival. 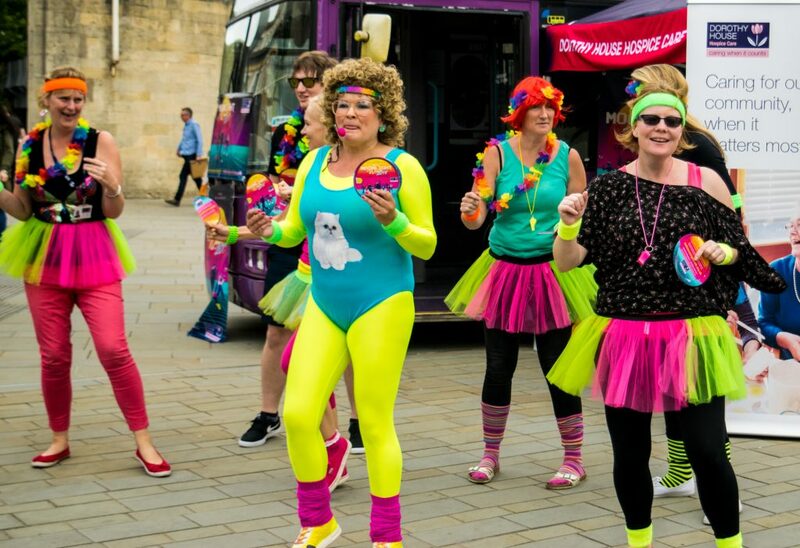 We have been lucky enough to be able to help out so many different local organisations and charities and we are pleased that the bus was able to give back to the community of Bath and the surrounding areas. 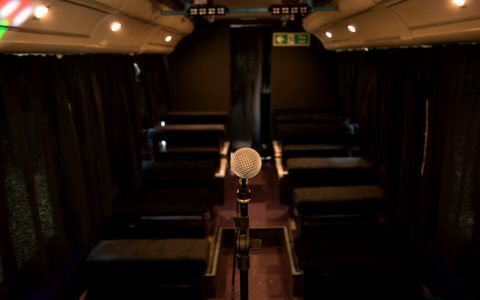 We want the bus to continue as a mobile venue and are hopeful that somebody will take it on to continue the work that we’ve started. Doing so will require ongoing financial support which is why we have decided that we unfortunately have to let it go. Thank you to everyone who watched a show or performed on the bus. And thank you for believing and dreaming with us and making that dream a reality. What are people said about us? 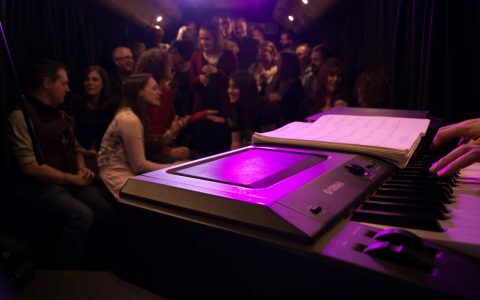 Not only did the Theatre Bus win the Creative Bath Creative Spaces category but its production of the Frogs by Zenith Youth Theatre Company won 4 awards (including best venue) at the Darkchat Awards. We are absolutely delighted to have won this second award! 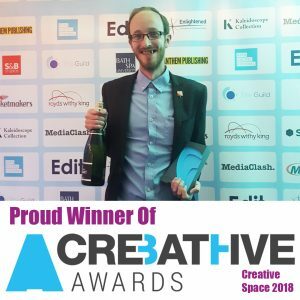 We are excited and proud to announce that we have won the Creative Bath Award for the Creative Spaces category. Thank you so much to everyone who has supported us and helped us to make the Theatre Bus a reality. This award is for all of you who helped us make this crazy dream a reality. 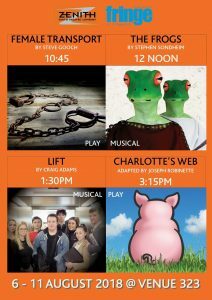 Thank you to everyone who visited the Theatre Bus in Edinburgh and supported Zenith Youth Theatre Companies Shows.